For decades, VR has been a dream for video gamers. Despite infamous disappointments like Nintendo’s Virtual Boy, the goal of creating fully-realized VR experiences for immersive gameplay has remained. After countless iterations of vaporware, VR is finally becoming a reality. VR is far from perfect, but hardware like PSVR, Oculus Rift, and the HTC Vive have made it far more appealing for developers and consumers alike. Investing in VR no longer requires thousands of dollars and state-of-the-art machinery. Free software and affordable VR headsets present an opportunity for relatively low-cost investment for new developers. How are companies able to produce dozens of video games in a single year? Reuse, reuse, reuse. If you have any experience coding, then you’ll probably already aware that it is rare to code a program with top-to-bottom original code. It’s likely you’ll import libraries or use a large chunk of existing code. The same goes with video game engines, but licensing an entire video game engine can be extremely costly. Thankfully, there are a few affordable, professional-grade video game engines you can find, but the most popular among them is undoubtedly Unity. Using the state-of-the-art engine for personal use is entirely free. Building fully-immersive VR games is relatively easy with built-in libraries and purchasable game assets. Unreal Engine 4 and Unity are similar high-end game engines with vastly different fan bases. Although Unity is a perfect product to start video game development with, Unreal Engine 4 is worth mentioning. Unreal Engine 4 is free to download, even for professional use. Epic Games only asks for 5% of gross revenue once your product ships in return. Unity’s subscription model is preferable to some, but Unreal Engine’s ease-of-use, heavily-optimized code, and VR-readiness are some reasons to consider Epic Games’ heralded game engine. With Unreal Engine 4, you won’t be limited to PC gaming, either. You can develop Android apps and iOS games as well. Lumberyard is Amazon’s free AAA game engine that comes with AWS and Twitch integration. The game engine is entirely free. There’s no cost to download, no mandatory subscription, and no revenue sharing. You only pay for the AWS services you wish to use to develop your VR games. Lumberyard, although not as widely known as Unreal Engine and Unity, is just as powerful a game engine that allows for the same VR integration. It’s important to note, however, that Lumberyard is in beta as of late 2017, so it may be more bug-prone than established game engines. Ever feel like you’re playing a painting? It’s true that creating video game worlds requires some artistic fair as most of the objects you see in a game are carefully sculpted. If you want beautiful, immersive worlds to be a part of your VR world, you might want to create custom objects, or assets, for your game as well. 3D modeling software can be extremely expensive, however. Subscriptions can run hundreds, even thousands of dollars, a year. Blender, although harder to use than popular 3D modeling programs like 3Ds Max and Maya, is completely free and open-source. If Blender isn’t your cup of tea, there are more forgiving -- albeit more expensive -- 3D modeling software programs you may want to consider. SketchUp has a relatively low learning curve, excellent built-in tutorials, and a massive library of free 3D models. One year will cost you about $700, but this is still only half the price of Autodesk’s alternative, 3ds Max. While the user base may not be as large as Blender’s its user friendliness and helpful startup guides means you should at the very least consider using Sketchup for your modeling needs. Developing VR games and applications is hard work. Creating immersive VR experiences isn’t nearly as difficult as it may seem, however. With powerful game engines like Unity, Unreal Engine 4, and Lumberyard, creating AAA-quality VR titles is within you reach. Inexpensive tools like Blender and Sketchup can help you with the more creative aspects of creating VR worlds. 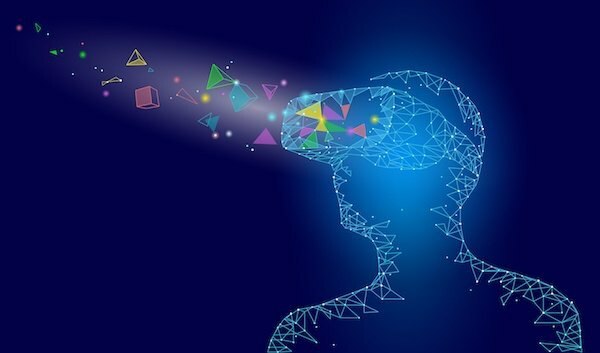 Coding, sketching, modeling, and testing your VR game with these tools should help you complete your project in a timely, pleasurable manner. Remember to shop around, test VR software, and research new tools as you progress with your VR project. About the Author: Greg Robinson is a tech entrepreneur with interest in emerging technologies particularly VR/AR, 3D technologies as well as how artificial intelligence will impact the future of work. You may connect with him on Twitter.